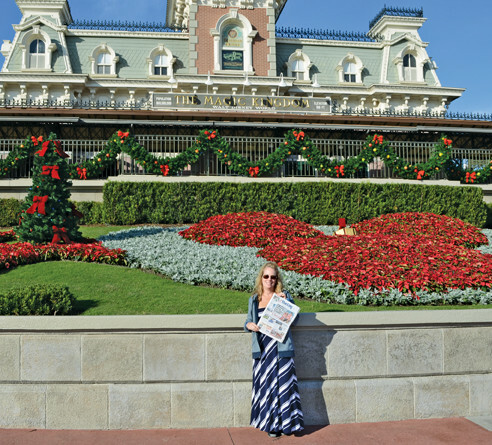 The Happiest Place on Earth Ann Wiberg poses with a copy of The Log during a trip to Disney World Florida. Scott and Ann Wiberg made the trip in celebration of their 25th wedding anniversary. We take The Log with us to keep up on the happenings in the San Diego area, Scott Wiberg said. The sprawling theme park, which was founded in 1971, houses four theme parks, two water parks and four golf courses. Visitors to the park can spend days exploring the park located in Lake Buena Vista, Florida.